Egypt remains the most anti-Semitic country in the world, with a populace that hates Jews intensely and a treaty that preserves stability. On March 26th it will be 40 years ago Egypt and Israel signed the Camp David peace agreement after long negotiations and five conventional wars. The treaty did bring quiet to both countries but one can hardly speak about normalization in the relationship between Egypt and Israel. As Middle East and Egypt expert, Professor Eli Podeh pointed out in an op-ed for The Jerusalem Post one could say that there are at least ten components “that have ensured stability over the years”. Podeh also says that “war remains an option” for the Egyptians since the army in the country of ten million still regards Israel as an enemy. This is reflected in the exercises which the Egyptian military conducts. The field where Egypt and Israel have been making most progress after the signing of the 1979 Camp David agreement is security and intelligence. El-Sisi made the claim during an interview with CBS in the United States and later tried to prevent the broadcast of this part of the interview since he knows normalization and cooperation with Israel is highly unpopular among his constituents. Over the past year, slight progress has been made in the attempts to come to real peace with Egypt -such as the signing in 2018 of a $15 billion gas deal which would solve a large part Egypt’s energy crisis. 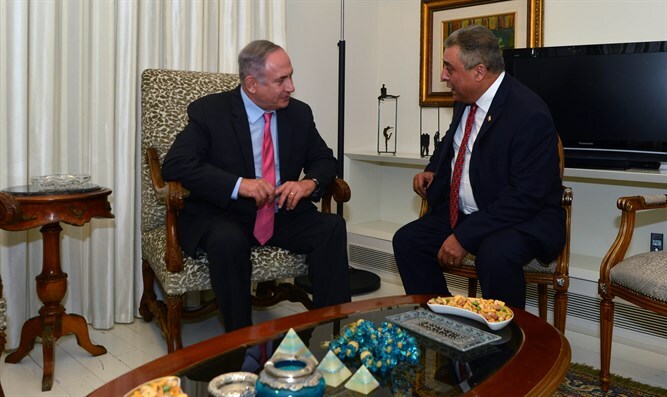 In January, Israeli energy minister Yuval Steinitz made a rare official visit to Cairo where he participated in a meeting of the Eastern Mediterranean Forum. President el-Sisi is furthermore attempting to restore relations with the Jewish community in the world and has re-invited Jews to live in Egypt where he says he will provide them with synagogues. “President Sisi spoke fondly not only of Egypt’s past vibrant Jewish community, but also said that should there be a resurgence of the Jewish community in Egypt, the government will provide every religious necessity required,” Ezra Friedlander, head of a delegation of American Jews, said after meeting the Egyptian leader at the end of February. It won’t bring real peace with Israel, however, and this is to blame on the virulent anti-Israel climate in Egypt and blatant anti-Semitism in all segments of Egyptian society. “Sisi is Jewish and Egypt is now under Zionist occupation”, read the headline above the article which claimed that el-Sisi’s mother Malika Titani was a Moroccan Jew while his uncle had been a member of the Haganah defense organization, according to the authors. Anti-Muslim Brotherhood media were just as adept in creating the same sort of anti-Semitic conspiracy theories. Al-Masri al Youm, Egypt’s leading independent paper, ran a story that former US President Barack Obama had secretly donated $8 billion to the Muslim Brotherhood. Under the alleged deal, the Brotherhood would transfer 40 percent of the money to Hamas in a scheme whereby Hamas would take over the Sinai desert and Israel would reassert control over Gaza. Other media, such as the state-controlled al-Ahram newspaper ran anti-Semitic conspiracy stories claiming MB-founder Hassan el-Banna was a Jew too and the founding of the radical Islamist movement was no less than a Jewish conspiracy to create disorder among Muslims. Egyptian media, furthermore, publish fantastic stories which blame every misfortune that befalls Egypt on Israel or Jews. One of these stories was a blood libel which claimed Israel was exporting carcinogenic pesticides to kill Egypt’s population. Similar anti-Semitic conspiracies ended agricultural cooperation between Israel and Egypt. Israeli experts introduced modern agricultural techniques in Egypt and were largely responsible for the fact that the country became self-sufficient in vegetables and fruits and later even became a major exporter of some of its agricultural produce. The cooperation ended abruptly with the fall of the Mubarak regime in 2011. Another conspiracy story held the Israeli spy agency Mossad responsible for the drowning of a British tourist in the Red Sea. The conspiracy story claimed that the Mossad had been training sharks to attack foreign swimmers in order to destroy Egypt’s tourism industry. Attacks on Jews who were in Egypt during the revolt that led to the fall of the Mubarak regime and the brief rule of the Muslim Brotherhood were a common occurrence as well. Jewish CBS reporter Lara Logan was gang-raped by a Muslim mob on Tahrir Square in Cairo while President Obama had to interfere to prevent a massacre in the Israeli embassy during the storming of the compound in September 2011. Former Israeli ambassador to Cairo, Tzvi Mazel wrote in a new article that anti-Israel and anti-Semitic attacks in the Egyptian media have grown more virulent over the years. The former Israeli diplomat personally witnessed the extent of the anti-Israel feelings in Egypt when the head of his Egyptian security detail was killed in a car accident. When Mazel wanted to pay a condolence visit to the man’s widow the woman “refused point blank” because she wanted the hide the fact that her husband was protecting an Israeli ambassador. The woman saw this as a “shameful fact”. “The only reason peace has endured is that both countries know that they need it,” the former Israeli ambassador to Cairo wrote. Anti-Semitism in Egypt dates back centuries but increased significantly after the founding of the state of Israel. MB ideologue Sayyid Qutb was one of the driving forces behind rising anti-Semitism in Egypt. In his 1950 essay “Our struggle with The Jews” Qutb delivered the evidence that anti-Semitism in Arab countries has its roots in Islam. “The Jews free the sensual desires from their restraints and they destroy the moral foundation on which the pure Creed rests, in order that the Creed should fall into the filth which they spread so widely on the earth,” according to the MB ideologue. “From such creatures who kill, massacre and defame prophets one can only expect the spilling of human blood and dirty means which would further their machinations and evil,” Qutb wrote in his essay. Although both Mazel and Podeh indicate that there is room for cautious optimism, with the Hebrew University Professor saying that peace with Egypt can be best described as “tepid”, the fact of the matter is that after 40 years peace with Israel Egypt remains, as Michael Totten once wrote, the most anti-Semitic country in the world.